Are you tired of having to spend too much time maintaining your batteries during the winter season? Having it on trickle charge is really not working isn’t it? Are you always changing your boat batteries every fishing season? If you are tired of spending hundreds of dollars on batteries you might want to consider NORTHSTAR BATTERY Thin Plate Pure Lead AGM Battery. The thin plate pure lead AGM battery is probably one of the best innovations in AGM batteries. AGM batteries are specially designed batteries which are supposed to last longer than ordinary flooded batteries. These are best for boats because they will not leak fluid even if the boat encounters the roughest of seas. The boron silicate glass mat makes the battery virtually maintenance free. The batteries are sealed with pressure caps and safe for boat use. If boats were to capsize, your batteries will not leak acid. This is a great choice for marine use because it lasts up to 8 years. With the new technology that Northstar used in their thin plate pure lead AGM battery, you get bang for the buck. It delivers superior cranking and unrivaled cycling. It is faster to recharge and virtually is maintenance free. This means you do not have to check on the water levels. Thinner plates also mean lighter batteries for your boat to carry. It is built to resist extreme weather conditions. The casing is also protected from corrosion. Over the course of months without use, there is only minimal discharge. Pure Lead AGM Technology performs great in Cold Cranking Amperage. It has quick starting up to 2,150 pulse amps. When recharging, it cycles over 400 times with an 80% depth of discharge. OEM fit is an assurance that it is built to the exact BCI standards. It can be used for ground, sea, and air transport. Better Life Expectancy – Thin Plate Pure Lead AGM Battery are 4 times greater than flooded lead acid batteries. Longer Shelf life – The purity lead acid grids and plates contain very low impurity giving it very long shelf life. Less Sulfates – it still sulfates just like other batteries but produces lesser sulfate because of it being pure lead. It does not corrode fast hence making battery aging slower. No leaks – leaks are less likely to happen because of the build of the battery casing. Warranty – 4 years of warranty assures you that you won’t get stranded in the middle of the ocean. Better in Cold Weather – It is extremely reliable in cold weather. Cold Cranking Amps are at 930. Smaller size but higher power capacity – compared to same size batteries, these provide 40% more power. Why Buy A Thin Plate Pure Lead AGM Battery? NORTHSTAR BATTERY Thin Plate Pure Lead AGM Battery hold their charge better than other marine batteries. 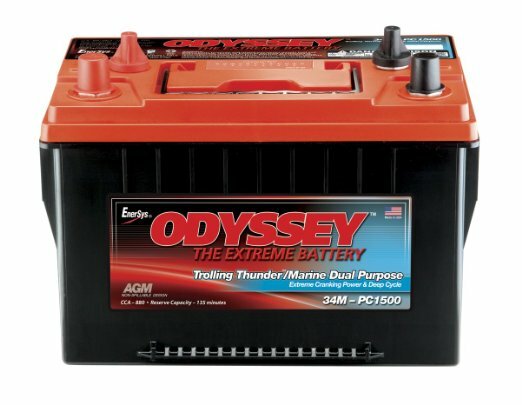 This battery is more expensive than the ordinary flooded battery but is more reliable. 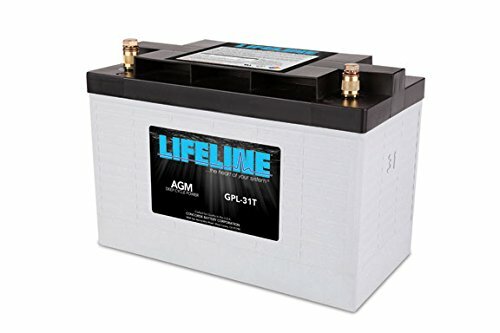 You can opt to buy cheaper flooded batteries. They will do the job starting your boat. 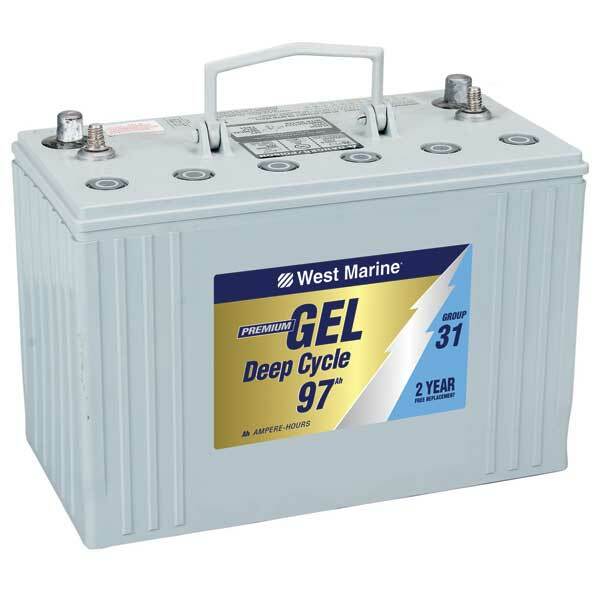 The wet cell batteries will give you upfront savings because they cost cheaper than specialty batteries like the AGMs but the payoff is better for AGM batteries in the long run. The NORTHSTAR BATTERY Thin Plate Pure Lead AGM battery is the safest lead acid battery that you can use for your boats. If you do not use your boat on a daily basis, the charge will hold for a long time. It has a Cold Cranking Amp which can deliver 7.2 volts and up at 0 degrees Fahrenheit. 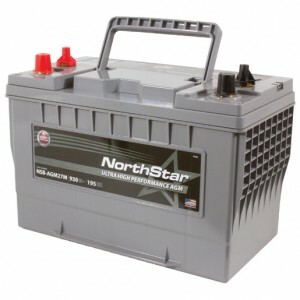 The NORTHSTAR BATTERY Thin Plate Pure Lead AGM battery is extremely reliable in cold weather. A lot of batteries do not charge because of sulfation buildup. This battery has lesser sulfation buildup and makes charging easier. According to research, only 30% if batteries today reach up to 48 months because of sulfation problems. Sulfation build up happens when sulfur molecules become deeply discharged beginning to coat the battery and in turn kill the battery. Life expectance is about 8 years. With a couple of extra dollars you actually save more by buying this rather than changing your wet cell batteries every 2 years because of dead battery cells. This is indeed a good investment for your boat. Although you will spend more upfront, you will benefit from the power, safety and reliability that this battery gives you. This is also recommended for use in RV, heavy duty, land and air transports.